The PTSA is Irvington's largest volunteer organization! 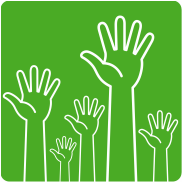 Please raise your hand and help the PTSA run programs and provide services that enrich the educational experience of every student in our school system! See opportunities & descriptions below. Please sign up by filling out the form on this page, or by downloading the paper form and submitting it. Thank you so much for your support! Scroll down for descriptions of each committee/program. ​ Authors & Illustrators: Accompany authors and illustrators as they speak to students; help coordinate the sale and distribution of their signed books. BFF/Families in Need: Work with the IUFSD Social Worker and Irvington Recreation Department to facilitate need-based giving in the community throughout the year. ​Book Fair: Assist with setting up and arranging books, collecting money, and helping students in book selection. Fall (DL/MSS) Spring (IMS/IHS). Help needed for a couple of days during school hours. Diversity & Inclusion (new for 2018-2019): Help organize and run events and programs to promote diversity and inclusion in the IUFSD community. International Culture (new for 2018-2019): Help organize and run events and programs to promote international culture in the IUFSD community. Legislative Strategic Advisory: Help educate and inform the PTSA and the community about state, federal and local policies that affect our students. Learn more here. Membership: Help recruit members online and at events and coordinate membership data with the NYS PTA. Science Fair: Help plan, coordinate and run the district-wide Science Fair. Typical held in March. Shopping Fundraisers: Help promote and coordinate the PTSA Amazon Smile program, the Box Tops program, and the DeCicco's Rewards program. Used Book Sale: Help organize the community used book sale; sorting books as donated and/or helping the days of the sale. Winter & Spring. Sale is in May. Voter Registration & Education: Encourage potential voters to register and vote on election days in person or by absentee ballot Registration efforts are throughout the year at community events & voting day efforts include visual and written reminders to vote. Coordinate candidate panels as needed. Ongoing​. Help needed to Get Out the Vote - usually a couple of hours around elections. More info here.